Please join us at Geelong’s Localised Meetup. Friday 10th May, 9.30 – 11.00am. Localised Meetups are all about the people behind the business. Harvest Talent Recruitment & People Solutions is proud to be presenting at the May Meetup. So join us at the beautiful Provenance Wines in Fyansford. There’s the opportunity to let others know who you are and what you do in a Lightning Pitch. It’s simple: tell us your name, your business, what you do and how people can get in touch all in 20 seconds! So, come along to connect and build new business relationships to help you grow your business and say hello to the Harvest team! Provenance Wines, 100 Lower Paper Mills Road, Fyansford, Victoria. 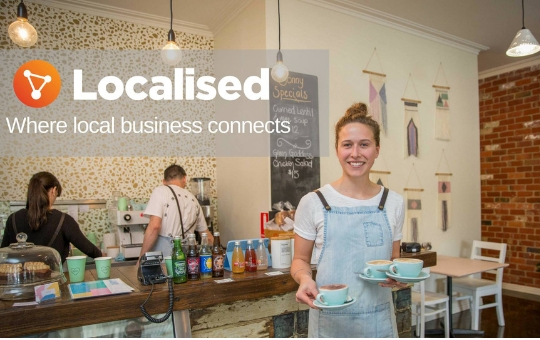 Localised is a place-based B2B tool designed to help local businesses connect and do business. Harvest Talent Recruitment & People Solutions is a proud partner of Localised.